My latest book, entitled "Darker Stars" is now available in paperback. 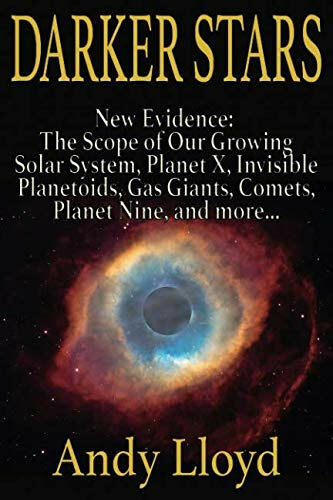 The book's sub-title is "New Evidence: The Scope of Our Growing Solar System, Planet X, Invisible Planetoids, Gas Giants, Comets, Planet Nine, and More…"
"Darker Stars explores the often contentious subject of Planet X. Building upon the historically hot-and-cold hunt for an additional planet in our solar system, the author examines the recent resurgence of scientific interest in this subject, in the re-branded form of Planet Nine. The elusive nature of this object provides the impetus for a hypothesis about planet building in interstellar space, and associated phenomena. 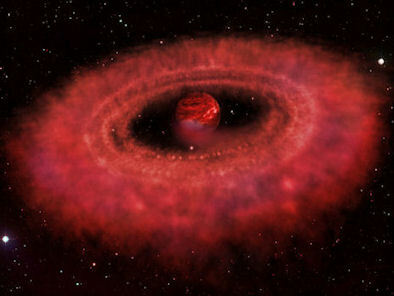 In particular, free-floating planetary mass objects and sub-brown dwarfs exemplify the anomalous new characters shaking the foundation of the classic star/planet boundary. 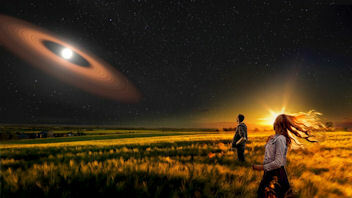 "Our solar system, too, is full of anomalies, strongly implying the presence of another massive planetary body. As our understanding of dark bodies in interstellar space builds, the author argues whether the existence of Planet X-type bodies should now be considered the new norm. With over 100 images and sources, approximately 500 references, and an extensive index, Darker Stars provides a robust and scientifically-based study of the re-fashioned outer solar system." The book is 376 pages long, and is published by Timeless Voyager Press in a 6"x9" paperback format, available through Amazon. There is a vast amount of information about the mysteries of the outer solar system within the book. A list of chapter titles is available on the 'Darker Stars' webpage. I hope you are able to support my ongoing Planet X research by ordering your copy today. Please note that some copies sourced directly from Amazon have experienced some printing issues, so if buying from Amazon please order from a subsidiary source. I've been contending for a while that the reason why Planet X hasn't been directly located is that it's immersed within a foggy mini-nebula of dust (1). It is one hypothesis among many, which includes the converse possibility that there is no Planet X at all, despite all of the direct evidence to suggest its existence. Only time will tell for sure, but the hunt for the missing world continues, with a massive citizen science project kicking off a second wave of investigations now underway. Previous efforts by this group have culminated in fresh scientific discoveries, including a dusty disk wrapped around a 3 billion year-old white dwarf star discovered by German citizen scientist Melina Thévenot (2). Is Citizen Science the way to go? Potentially, yes. Between us, we have incredible computing power locked into our devices, and extensive searches through infrared data banks by people can obviously be achieved with much greater effectiveness if the load is spread out among many. The motivation to find a new planet is high, as the prospect of finding another planet in our solar system is incredibly exciting. Finally, being science, due credit is given to the person who find that needle in the cosmic landscape - for instance, two citizen scientists are listed as co-authors on the white dwarf dusty disk paper, including Melina Thévenot (3). Where else in working life does that ever happen?? You can find out more about the project at the National Optical Astronomy Observatory's website (4). "Good Morning Mr. Lloyd, this group is solely dedicated to the orthodox ZS theory, thus considering NIbiru as being a planet in our Solar System. We don't agree with the Dark Star theory, but it is a pleasure to approve your post because of the valuable contribute you have given to the topic and the research. We wish you all luck for the new book, and at the same time we ask you, if posting here, to keep in line with ZS's original theory. We also suggest to contact Italian editors specialized in alternative research to propose a translation of your books." "Thank you Alessandro Demontis for kindly allowing me to post this update, given that, yes, I do offer a slight alternative to Sitchin's description of Nibiru. I appreciate your honesty. Zechariah and I corresponded about it a few times by 'snail mail' some years before his death, and he was always generous in his comments, although he made it clear in one of his last books that this was not an idea he subscribed to. Strangely, the proposed object known as 'Planet Nine' is, in many ways, very close to Sitchin's description of a super-Earth, although the orbital period is very different. "One last thought, on a personal level related to what you have said: Beyond a few like-minded thinkers, I have never been accepted by the Sitchinite community, even though I have written extensively about the nature of Nibiru. On the other hand, I am also ostracised by scientists for being too fringe. It sometimes feels a lonely no-man's land I walk through, but, I'll be honest, I think that's where the gold is buried..."
As yet there has been nothing from the English-speaking equivalent at all, the 'Zecharia Sitchin' group, and my post is still 'pending' several days on. They may yet post my announcement. But, really... exactly how many Planet X books come out? 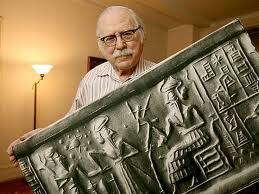 Isn't this something that would very much interest Sitchin's readership? I had always wondered whether I was being held at arms length by the 'Sitchinites'. Now I know... My fear is that after Sitchin's death his work has taken on a quasi-religious status, with an established orthodoxy, and a strong dismissal of heresy. I don't mind being a heretic, of course, but Sitchin's own open-minded attitude towards all things scientific has been lost in there somewhere. I really don't think that Sitchin was trying to create a religion - like me, he was an independent scholar who liked to explore the very edge of academic understanding and was often quite speculative in his assertions. His interpretations of Sumerian texts have been roundly trashed by Sumerologists, and their ardent dismissal has created a polarisation of views around his theories. But, they remain that - interpretative hypotheses, to be tested and proven or disproven - insofar as anything is really provable! I know Eitan well, and so know that he has a good grasp of my material, although he has not yet read 'Darker Stars' itself. Again, there's an suggestion in what he writes of 'heresy' here too, because, I suggest, I am not one of the priests of the scientific academy. I get it that scientists who have trained hard to achieve PhDs get a little narked by popular science written by those who they do not consider to be sufficiently qualified - but science can be about ideas not just specialised methodology. Ideas belong to all of us, and there are plenty of them in 'Darker Stars' to think about: I am sure that my hypothesis about how planets may grow and become enveloped within a shroud of dust in interstellar space takes things in a radical new direction. Believe me, I've tried to put these ideas directly into the scientific domain, but have been rejected in a very forthright way. So, if Science doesn't want to engage with someone it considers to be an outsider (which I'm actually not), and then denounces any popular scientific discourse that is published outside the Academy, Science is effectively trying to control what is being said. That creates an inherent danger that the institution of Science itself can also act like a Religion. That's not to say that religions are bad, just that this book doesn't happen to be about belief - it's about ideas. It's true to say that some scientists recognise that their attitude about this needs to evolve - they have more on their plate in terms of global PR than just a maverick researcher, after all, and many are trying to figure out how to promote scientific ideas in an increasingly dark global theatre (3). But this needs to become a broader movement within the discipline. Our brave new world has opened up science to a massive audience, and many scientists love the opportunities that come with this to expound their theories and share discoveries directly with the public through social media. However, these same scientists also need to recognise that there is a price to pay in terms of engagement - they need to learn to listen as well. A rather clever hypothesis about the 2017 interstellar visitor 1I/'Oumuamua has been proposed by astronomer Dr Zdenek Sekanina of the NASA Jet Propulsion Laboratory (2). His hypothesis seems to square the circle regarding this object's set of weird characteristics. The story so far: In 2017, an object, thought to be moving through the solar system from deep space, executed a turn around the Sun in a hyperbolic trajectory (2). Observations of the light reflected back from this small object indicated that it was reddish, and highly elongated in shape. It appeared to be tumbling over itself in a rather unusual way (3). It was not clear whether this interstellar object was a comet, asteroid, or even an light-propelled alien spacecraft (4). The main issue is its observed acceleration away from the Sun following its perihelion transit. If 1I/'Oumuamua was a comet, then out-gassing might account for that - but, significantly, no out-gassing has been observed. Dead comets, or interstellar asteroids, don't accelerate. To get around this conundrum, Dr Sekanina postulates that 1I/'Oumuamua was a comet, but it broke up as it approached the Sun, before it was first observed (1). What astronomers then saw moving around and away from the Sun was the resulting debris field of the interstellar comet's earlier disintegration. That would explain the porous nature of the 'object', its lack of out-gassing, and its curious, elongated shape. It would also potentially explain its acceleration away from the Sun, because the dust and particles within this 'fluffy' cloud of debris are small enough to be subjected to effects of solar radiation pressure. Disintegration of some comets as they approach the Sun is well known: the heat of the inner solar system environment can create a pressure cooker effect within comets causing them to break apart. Such broken-down comets then fade as they approach the Sun, rather than brighten. This seems to be particularly the case with fainter comets, and 1I/'Oumuamua seems to have fallen foul of Bortle’s survival limit both in terms of its luminosity and its perihelion distance. Dr Sekanina suggests that this interstellar comet underwent the same destructive processes before it was first observed. 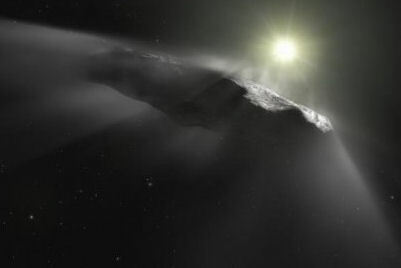 Other similar ideas have also been suggested in an attempt to explain the various aspects of this mystery: If solar radiation pressure is the factor causing Oumuamua's anomalous acceleration away from the Sun, he extreme porosity of this, then the 'object' must be extremely porous in nature, raising the question of whether such a porous material could have formed naturally. Amaya Moro-Martín draws parallels with observed 'fluffy icy aggregates', which could have been icy building blocks beyond the snowline of protoplanetary disks, which may eventually lead to the formation of planetesimals (6). So, far from being the debris field of a destoryed comet, Oumuamua may represent rejected dusty building blocks frozen in time. 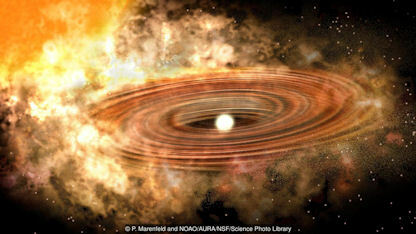 It is thought that rocky planets formed by assembling smaller planetesimals early in the history of the solar system. Over time, any left over building blocks in the inner solar system have been subjected to various forces which would have changed their characteristics. Those forces include solar radiation and collisions. However, further out into the outer soalr system, and specifically as far out as the Kuiper belt, small planetesimals may remain in their primordial state, essentially unaffected by the kinds of hazards which exist nearer to the Sun. The problem is finding them. Objects which may be only a few kilometres across are difficult enough to find in the inner solar system, let alone more than 30AU away, beyond Neptune. Out there, even Kuiper Belt Objects big enough to be classified as dwarf planets can be tricky to detect. Any KBOs less than 10km in radius are practically impossible to detect directly. A Japanese team have used two telescopes to watch for tell-tale passages of such objects in front of stars. When the small KBOs pass in front of a star, the light we see from the star dips slightly. Using two telescopes to synchronously observe such a starlight occultation has proven a cheap, but effective means of detecting what is thought to be the first primordial planetesimal in the Kuiper belt (1). It's barely 1.3km across! 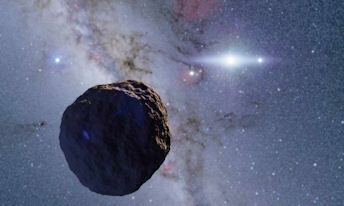 If this observation really is a small KBO, then this has implications for the population of such objects in the belt: There must be a significant population of small planetary building blocks in the outer solar system for this study to have been successful (2). Like with the interstellar asteroid/comet 'Oumuamua, a lot of information can be extrapolated from one datapoint. The chances of success of detection imply a particular minimum density of population. This early estimate can be further refined when similar objects are found later, building a bigger picture of the true numbers. At the moment, it looks like the Kuiper belt is home to a significant population of small bodies which, had they been located in the inner solar system, would likely have been assimilated into planets, or broken apart by collisions and/or irradiation. Again, the outer solar system is starting to reveal its secrets, and it is more lively than previously expected. It's not just Oumuamua's shape which is causing some head-scratching amongst astronomers. Last month, the first close-up images of a classical Kuiper Belt Object, 2014 MU69, were beamed back to Earth from the New Horizons spacecraft. The bi-lobate objects, commonly known as Ultima Thule, looked for all intents and purposes like a red snowman (1). Since then, further images have been sent back by the spacecraft, including pictures of the light crescent of the object as the it swept past at more than 50,000 km/hr, revealed a side-on view which was remarkably flat (2). 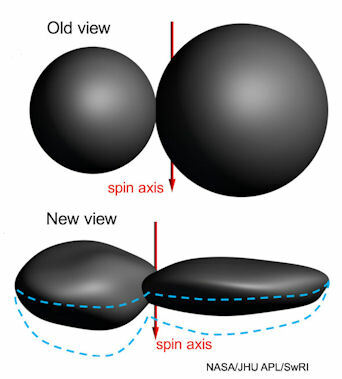 Instead of a couple of spherical shapes, as had quite reasonably been assumed, Ultima Thule seems to be more like a conjoined pancake and 'dented walnut'. This flatter shape follows on from the highly elongated shape of 1I/'Oumuamua, whose own properties and provenance have yet to be fully understood. The assumption that objects in the outer solar system beyond Neptune should automatically follow suit from the familiar objects within the planetary zone is quickly getting shredded. I suspect the same is even more the case for objects located in interstellar space, as I argue in 'Darker Stars' (4). In my youth, I had something of a fascination with the Voynich manuscript, as well as similar alchemical materials from the Middle Ages. The Voynich manuscript is rather special, though, even among these remarkable pieces of early 'scientific' literature (remember, Newton was also an alchemist - chemistry began life within these weird efforts to alter and perfect nature). The Voynich manuscript is written in an unknown script which has defied the efforts of generations of cryptographers. It contains beautiful images of weird plants, alchemical symbols and also astronomical codices. In many of these codices, the central motif is the Sun, providing the reader with the sense that the Sun is in the centre of the cosmos (e.g. 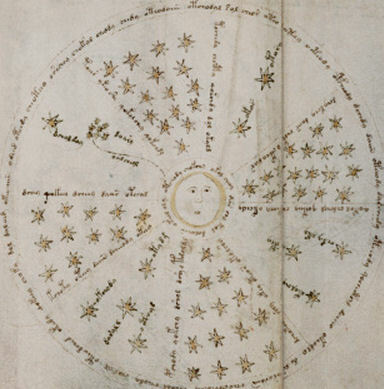 Voynich Stars f68r, opposite). This in itself is weird, because the manuscript is written on vellum, which has been carbon-dated back to the early 15th century, and thus predating the publication of Copernicus' heliocentric theory by 100 years or more. The mystery surrounding these astronomical motifs led me to speculate on whether the Voynich manuscript contains 'secret knowledge' about a missing planet, or at least some kind of occult connection in the heavens (1). If only we could understand the accompanying script, then all would be revealed. Alas, it has yet to give up its secrets. Instead, it stands as a challenge to intellectuals of all varieties, including, it seems, astrophysicists. Well, the Spanish academic Luis Acedo has a number of research interests, with gravitational theories being one of them. I first came across his work when I was researching 'Darker Stars' - he was studying anomalies in the trajectories of spacecraft orbiting, or flying past, planets, in particular Juno around Jupiter. Here his work brushes past my own eclectic interests once again - this time he has been doing computer analyses on the underlying linguistic structure of the Voynich manuscript (2). In keeping with previous serious researchers, he finds patterns which lead him to believe that the script represents a natural but unknown language. This may take the form of a cipher of a known language, but is not an indiscriminate or nonsensical script written by a forger. Why am I interested in this? A couple of decades ago now, I wrote about what I perceived to be Dark Star symbolism wrapped up in alchemy. Many of the weird and wonderful astronomical artworks in ancient alchemical scripts alluded to a dark presence in the solar system, I argued. A dark twin of the Sun. in mediaeval times, alchemists risked persecution from all quarters, particularly the Church. Their materials contained Gnostic elements, and much seemed to have been imported to Europe from the Arabic-speaking world which had protected ancient literature during the purges of the Dark Ages. There is, of course, a heavily romanticised quality to all this, and the mysteries lend themselves to all manner of interpretations. Still, when I saw the kind of imagery seen to the left, it begs the question what the heretical message was that was so important to trap within such an exquisitely difficult cipher. It's good to know that the Voynich manuscript really was likely to be an authentic mediaeval book of mysteries. But we're still not really any nearer to understanding its secrets.